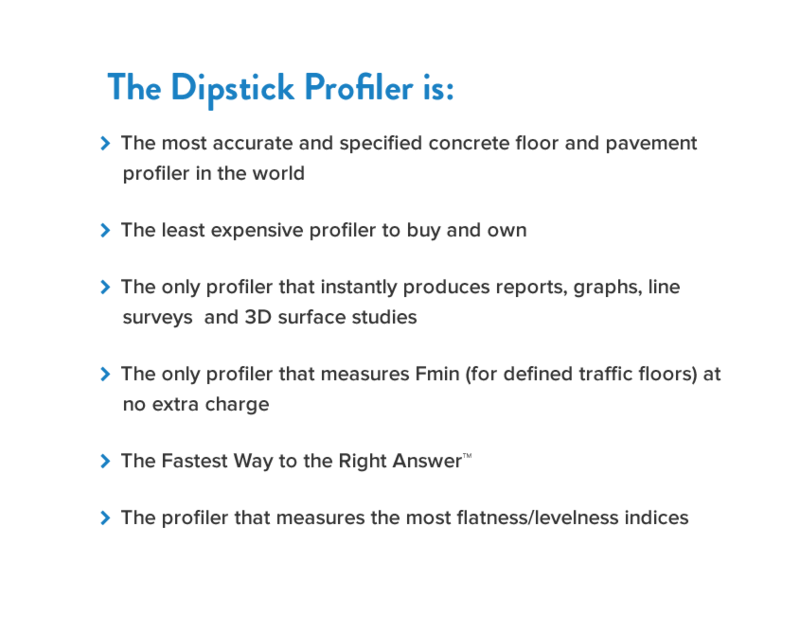 Testing labs, building owners, developers, contractors, universities, research institutions and government agencies on six continents choose the Dipstick because it produces the most accurate and repeatable flatness/levelness data – period.  Dipstick readings are guaranteed to be accurate to 0.0125 mm – less than 0.0005″ (that’s 5/10,000ths of an inch!). Based on the thorough testing of every unit we manufacture, Dipsticks are typically accurate to 0.005 mm (0.0002). Why? Constant design and electronic improvements in an ongoing effort to improve what is already unparalleled performance. Although it looks the same, the Dipstick of today doesn’t include a single component that was part of the Dipstick of 20 years ago. 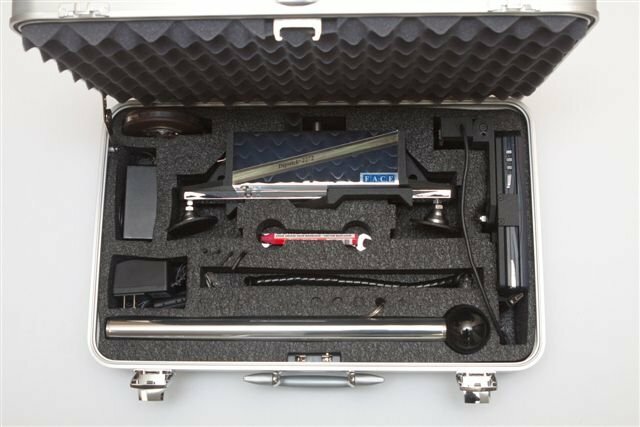 In fact, the Dipstick is so accurate that it’s routinely used to calibrate other measuring instruments!